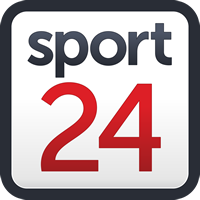 Cape The city – Cricket South Africa (CSA) on Sunday introduced two adjustments to the Proteas girls’s One-Day World squad this is because of play Sri Lanka in a three-match ICC Girls’s Championship sequence from February 11-17 in Potchefstroom. Suné Luus has been referred to as as much as substitute Lizelle Lee whilst Nadine de Klerk has been introduced in for the injured Chloe Tryon. Each avid gamers inspired the selectors right through the not too long ago concluded three-match T20 world sequence the place South Africa finished a whitewash over the guests. Luus won back-to-back Participant of the Fit accolades for her dominance with the ball and contribution with the bat, whilst De Klerk proved her all-round features all through the sequence. The primary ODI might be performed Senwes Park Stadium on 11 February 11 at 10:00. Dané van Niekerk (captain, Jap Province), Laura Wolvaardt (Western Province), Mignon du Preez (Northerns), Lara Goodall (Western Province), Shabnim Ismail (Gauteng), Marizanne Kapp (Jap Province), Saarah Smith (Western Province), Tumi Sekhukhune (North West), Suné Luus (Northerns), Nadine de Klerk (Northerns), Faye Tunnicliffe (wicket-keeper, Boland), Masabata Klaas (North West), Andrie Steyn (Western Province).